Photo by Crystal Hayduk. 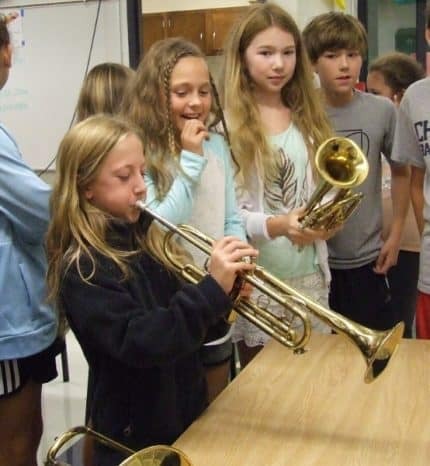 Students in Trisha Pollack’s fifth grade class give trumpets a try on band day. 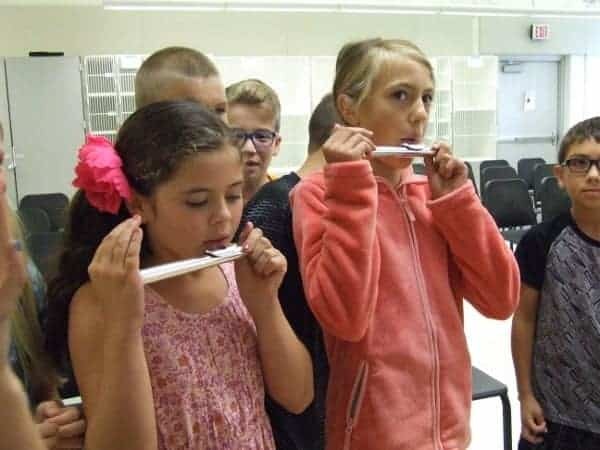 Band directors Rick Catherman and Katy Steklac demonstrate three types of instruments to fifth graders: brass (trumpet and trombone), woodwind (flute, clarinet, and alto saxophone), and percussion (bells and drum). 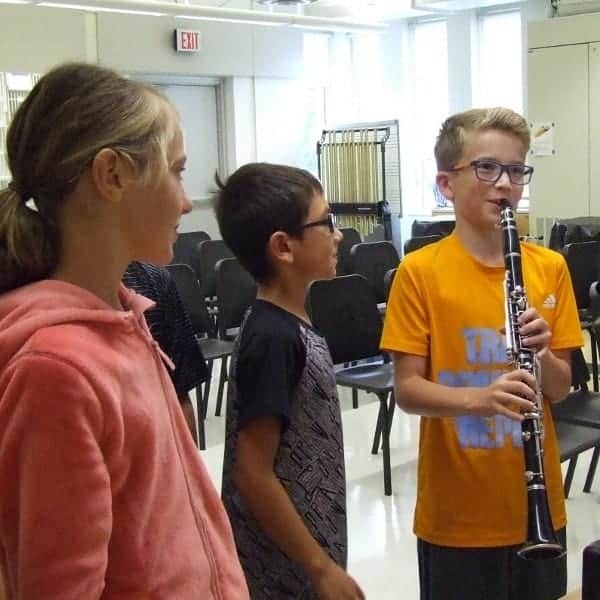 Steklac gives students a mini-lesson on how the wind instruments produce sound. Woodwinds, even if made of metal, depend on a reed or blowing air over an edge. Brass instruments create sound through the combination of air and vibration of the player’s lips. Woodwind musicians can move on to oboe or bassoon; brass instrumentalists can eventually learn to play the French horn, baritone, or tuba. 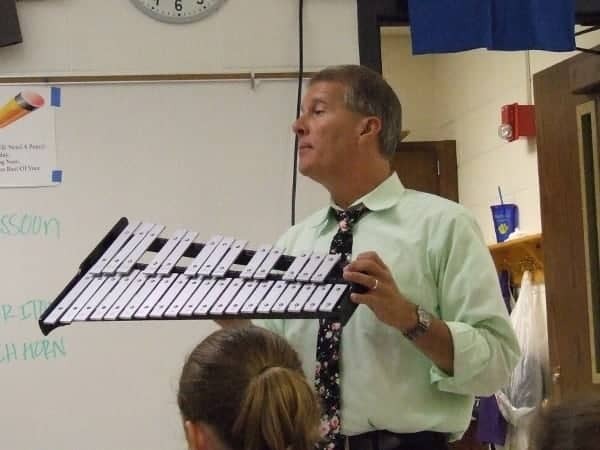 Typically, students should have had recent piano lessons to play percussion. 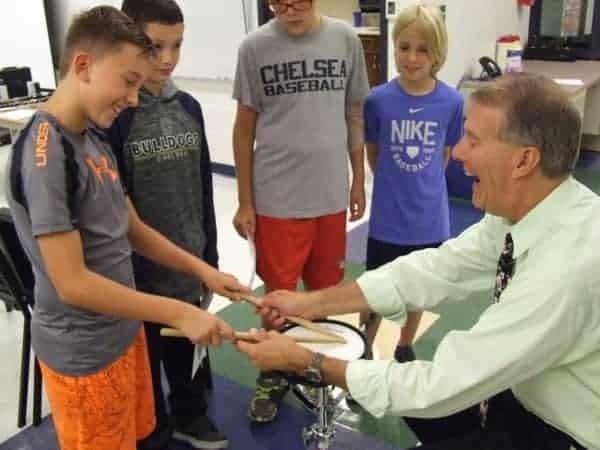 But if a student is highly motivated to play drums and has no experience with the piano, they can choose another band instrument and transfer to percussion after they’ve learned some of the basics, including how to read music. 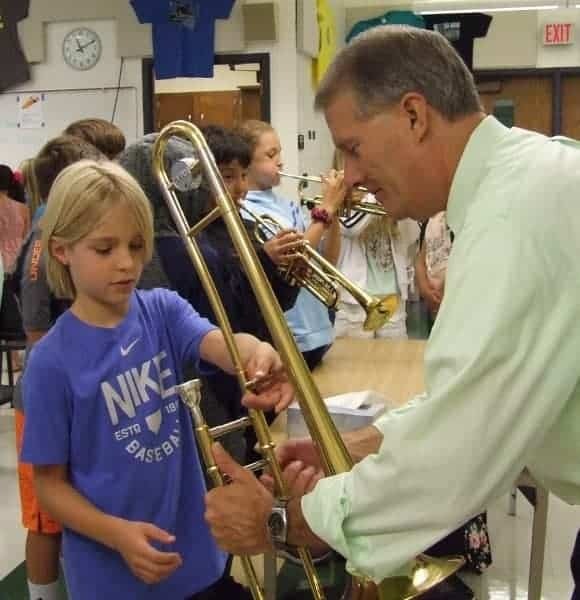 Students who choose band attend an instrument evening at school, where they and their families can discuss the option of instrument rentals. According to the band teachers, most families participate in a rent-to-own program through Marshall Music Company. Band instruments come in one size, with the exception of tubas, which come in a half-size option. This “one-size-fits-all” characteristic of band instruments means that family-owned instruments may be more prevalent. The teachers can check these instruments, as well. 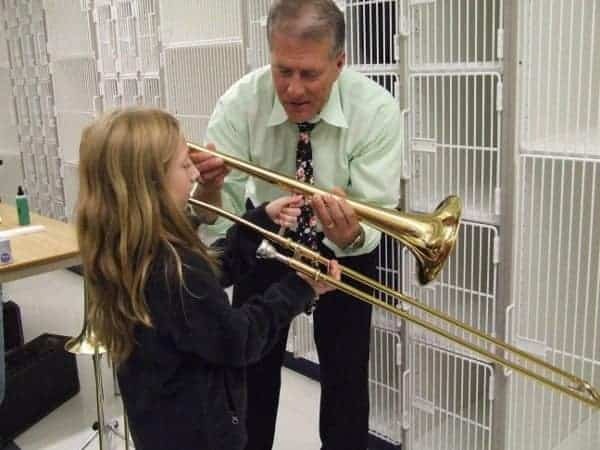 “Students have a better chance of success with a good instrument,” says Catherman. Students can participate in other pursuits as well as band. “Band members are involved with nearly every sport and other extracurricular activities. 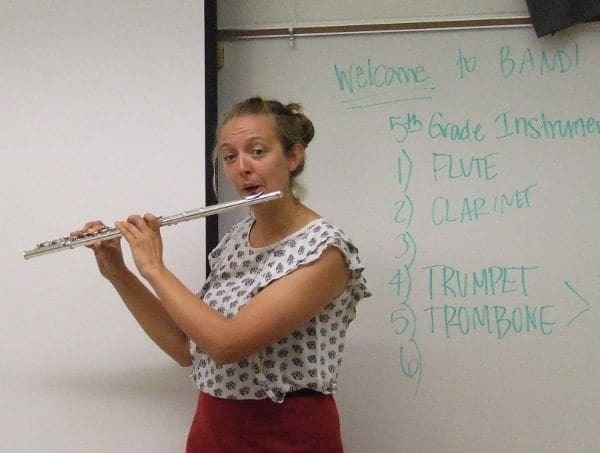 Steklac, now in her second year as director of bands at Beach Middle School and South, as well as assistant director of bands at Chelsea High School, is a 2009 CHS graduate who knows firsthand about the benefits of an early start in music education. “Learning an instrument early provides many opportunities for a student,” she says.